Look what my Dad found today – Fantastic Memories. Prestwick Scotland to Newcastle England age 10 with my Dad. These Fantastic and very treasured pics were taken in 1974. 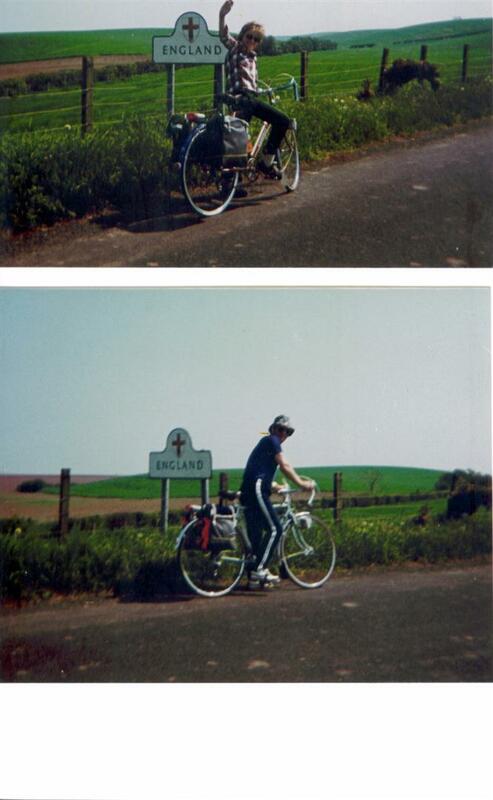 I was 10 years old and we cycled back from Prestwick Scotland to Newcastle England over 6 days, 258 miles. My Dad just found these today and has made me SO HAPPY. When I’m travelling around Europe this Summer I will not just be doing it for me but for my Dad, his memory is not the best at the moment but his spirit of adventure is certainly still intact. Spare day today, Back to work next week . Went for a training ride to Bolam lake one of my favourite places. 35 miles 3 hours. I was hoping to complete a 50 mile ride today, but I knew I had other things to do this afternoon, work related. It was a nice and steady ride, I really enjoyed it. Met a lovely mature couple while at the lakes and had a little chat about my plans. Stopped off for a coffee on way back and detoured via Morpeth. All in All a very nice day. Plans coming together now , but will add those in the relevent section. For now toot toot I’m oot. Huge day today. 13 weeks and counting – I’ve booked the ferry, and going to buy my tent, a Vango 200+ expedition. So that’s the commitment made, Ive only booked the ferry one way as I don’t know when I’m coming back or from which port. I leave from Royal Quays North Shields on the 30th May 2012 at 5.30.Pm. Leaving then as it allows me time too spend with my son Lewis on his 19th Birthday. How long will I last ? Once I get my new broadband up and running (28th Feb) I will add the new pages so it will look more like a web site /blog, With a home page. One thing ive noticed over the last few months of dreaming, planning , doing something about it is the fantastic touring cycle community there is out there. 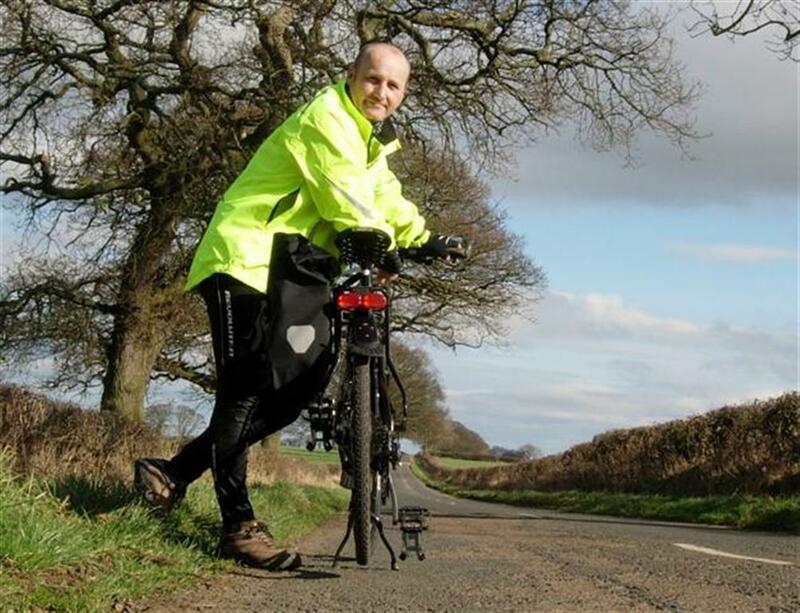 A massive thanks has to go to TravellingTwo whose web site ive spent hours reading, and the inspirational Shanecycles.com who’s web site is well worth a visit. This next week is a big one for me as ive got my list and shopping for the remainder of my gear starts then. I will keep updating and thanks for the support, It means a lot. for now , toot toot, Im oot. Europe here I come ! Well starting in June . Organising now and planning but got some great advice (thanks Shane). Will tell more once I get new broadband set up in few days. For now toot toot im oot. Like this site , my cycling adventures are still in the infant stage ,even though I’m not!. What I hope follows over the next few months and years will keep you and me entertained and enriched. Like me the site will develop as time passes and I will post as regular as possible as long there is something worth saying! 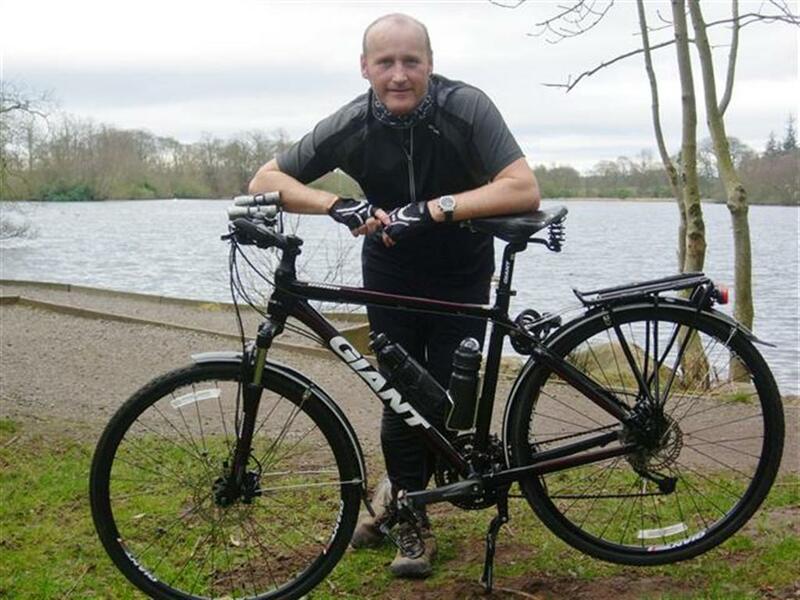 Why Geordie on a bike! Well im from Newcastle upon Tyne and people from the region are known as Geordies! The name Geordie has a few different origins depending on what you read, but I believe people from Newcastle are called Geordies because of their allegiance to King George during the Jacobite Rebellion. The city of Newcastle shut their gates to the Jacobites and wouldn’t have anything to do with them. (I’m full of information, or full of or something!!). I have pages planned ,and will add these soon, but for now toot ,toot ‘Im oot.